Here's another of my box cards that we made in a workshop. 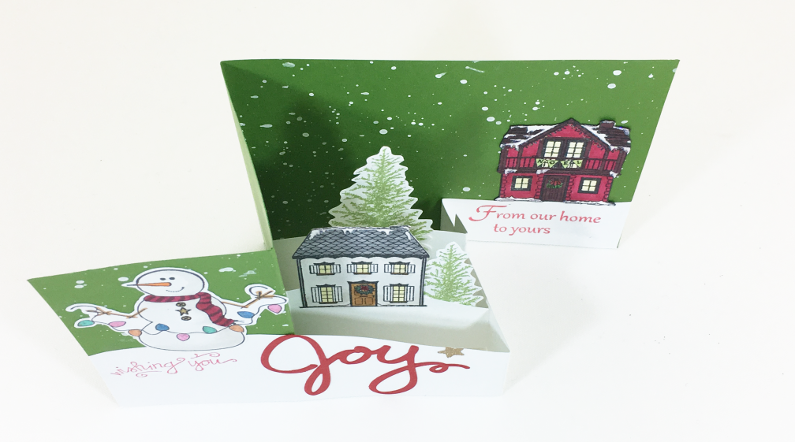 It's another Z-Fold box card with holiday homes. I really like the large "Joy" sentiment on this one. 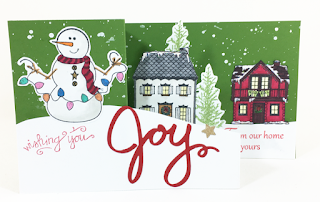 It's one of the latest Stampin' Up! purchases I made. This card is a mash up of many stamp companies! "Wishing you" is an old woodblock stamp I got at Michaels. "From our home to yours" and the winter trees are from The Old Island Stamp Company (in B.C. Canada). The houses are from a Hot Of The Press set. The snowman is from Your Next Stamp. I like how the "from our home to yours" hides when the card is closed but reveals when the recipient opens it. This card has 4 layers from front to back. 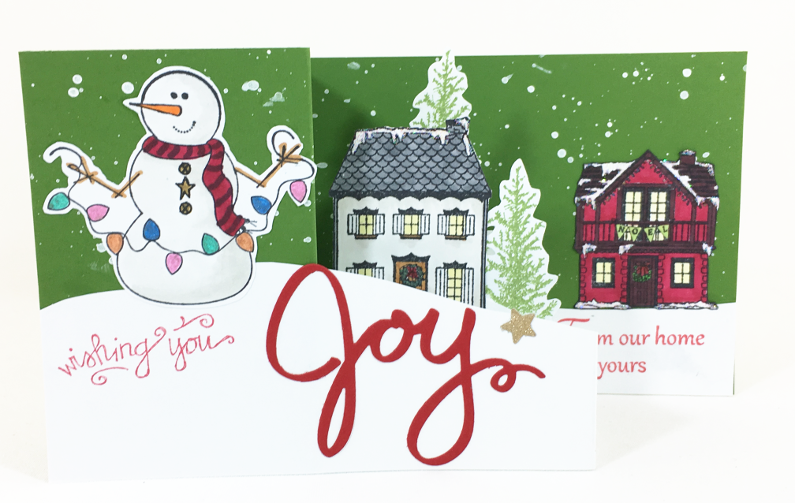 I wanted to go with traditional reds and greens for this card but the background looked plain to me, so I splattered it with snow. Is a green sky weird? I think it still turned out nice. I think I prefer a true card-in-a-box style of card over this version that combines with the z-fold card. Second to that, I like the shadow box card over this one too. What kind of 3D card is your favourite? Feel free to share with me in the comments below!